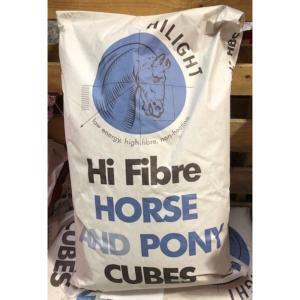 Hilight Hi Fibre horse and pony cubes are low energy and high fibre. They are also non-heating and highly palatable. Ideal for horses at rest or in light work.